List of cities in Singapore by population – Singapore is a country located in Southeast Asia. Its located near Indonesia and Malaysia. Singapore is a sovereign city-state consists of one main island and 62 other islets. This country has small size area (only 719 km square), thus doesn’t qualify the creation of national subdivisions in the form of provinces and states. In other way, there are 5 main regions in Singapore and several cities in Singapore, known as planning areas. Singapore is a developed country. It ranks 5th on the United Nations Human Development Index, indicates high standard life in Singapore. Its gross domestic product ranks 3rd in the world, thus Singapore is one of the richest country in the world currently. Singapore also provide first-class service in education, health and quality of life for its residents. Currently, Singapore divided into 5 main regions, they are Central Region, East Region, North Region, North-East Region and West Region. Each region also divided into several area, in this case, known as planning areas. While Singapore is known as city-state, this planning areas often cited as cities in Singapore, although administratively it’s not qualify as city or town. Of all 5 regions in Singapore, the largest region by area is West Region (201.3 km square) while the largest region by population is Central Region (939,890 residents). The largest city in Singapore by population is Bedok with 289,750 residents. Bedok is one of planning areas located in East Region. Here are complete information of list of cities in Singapore, including list of region, city, town and planinng areas in Singapore along with its area and latest population size. Here are complete list of largest city in Singapore by population based on total population of each administrative planning areas in Singapore. As a sovereign city-country, Singapore divided into 5 main regions and total 55 planning areas. 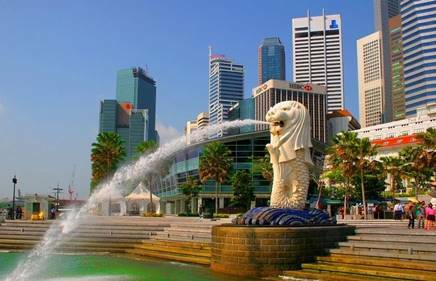 Currently, Singapore become favorite destination for foreign tourist around the world to travel and spent holiday as there are many popular tourism objects in Singapore.